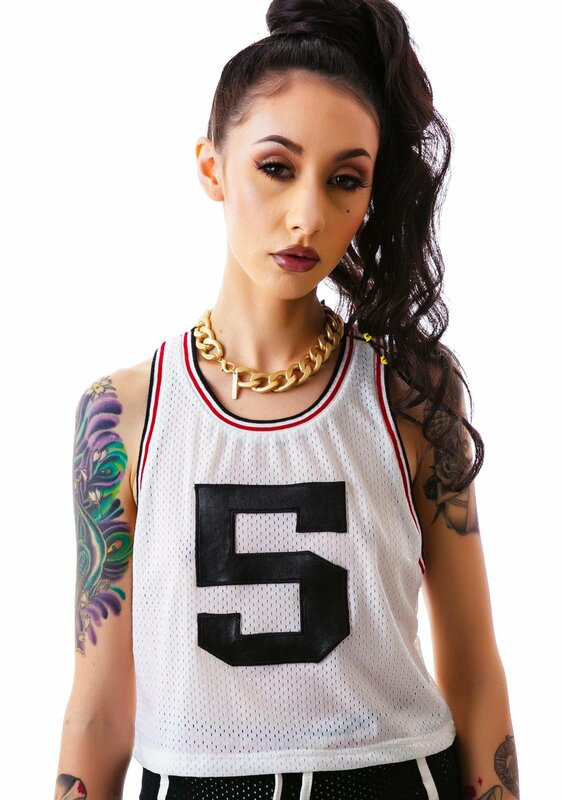 The Hardaway Basketball Mesh Top scores it big as it pays homage to one of our all time fav BBall players. 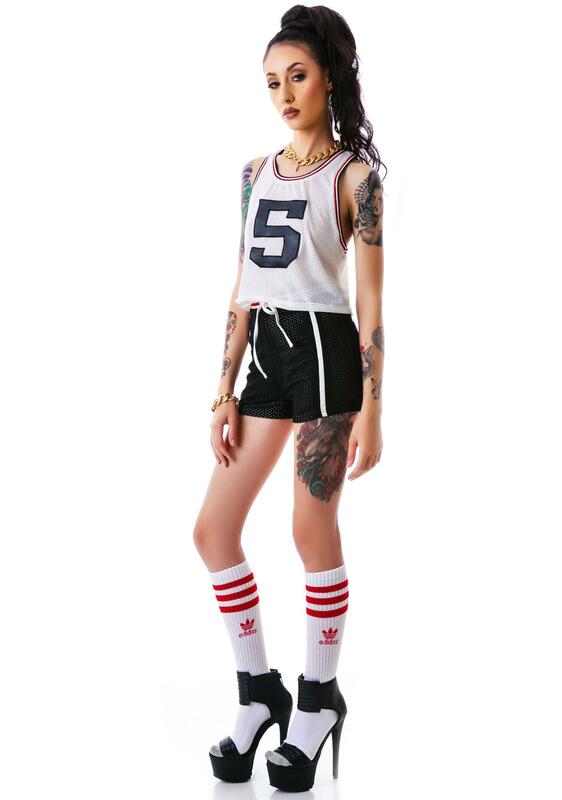 You'll be slam dunkin it in this and thats what yer life is all about BBcakes. 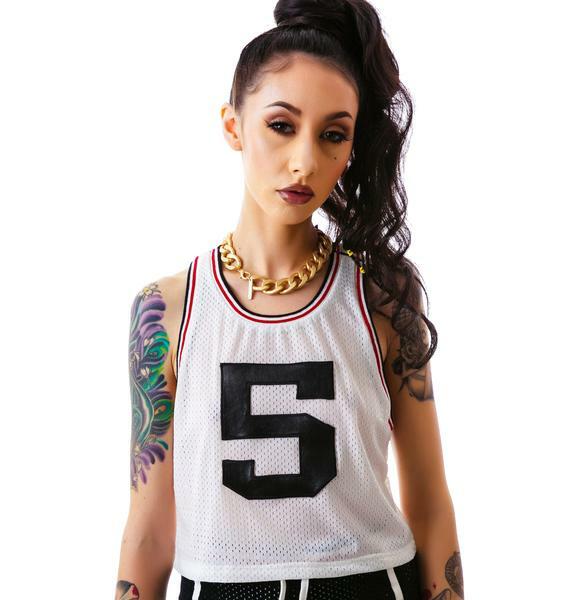 Especially when yer wearin this bomb az fukk crop tank. 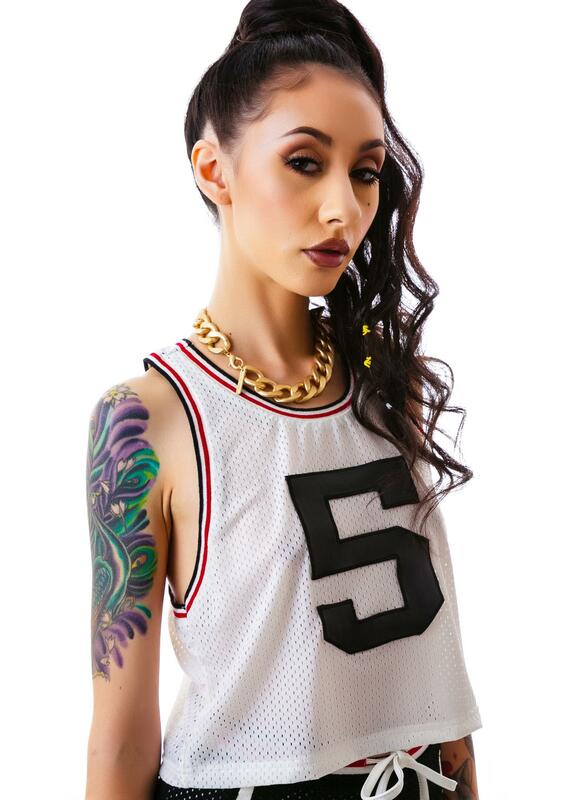 This bball inspired jersey is ready to get yer azz off the bench and into the game with its super comfy fit. Featurin all over mesh fabric and ribbing along the neck and arm holes this BB doesnt wanna hit any airballs. 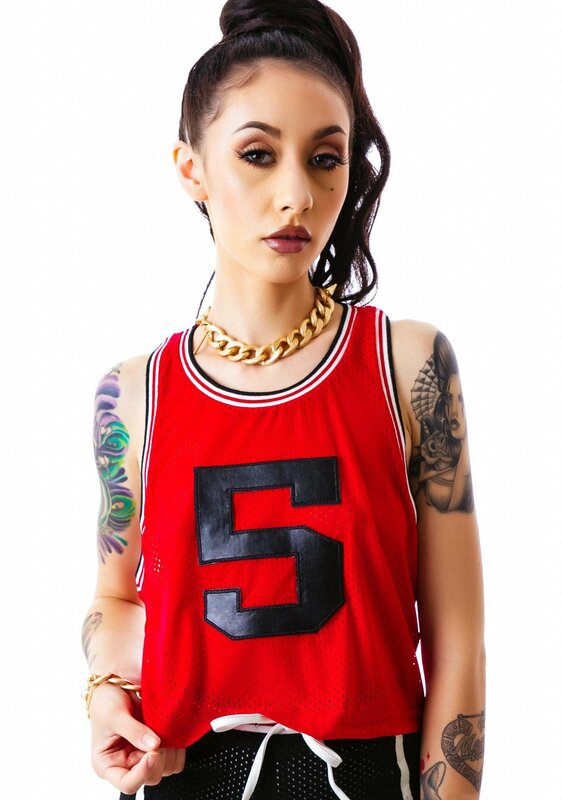 Killin it with an embroidered 5 (so ya match yer fav playa) right on the front this is the tank were lookin at to score!